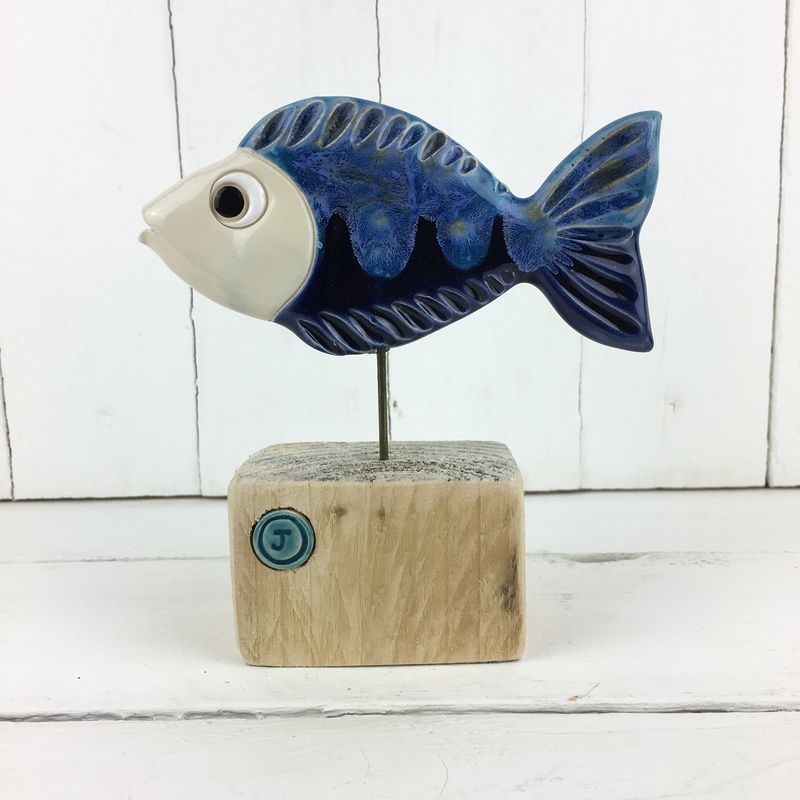 A wonderful piece made up of a large and medium fish which a fabulous blue speckled body and white face. 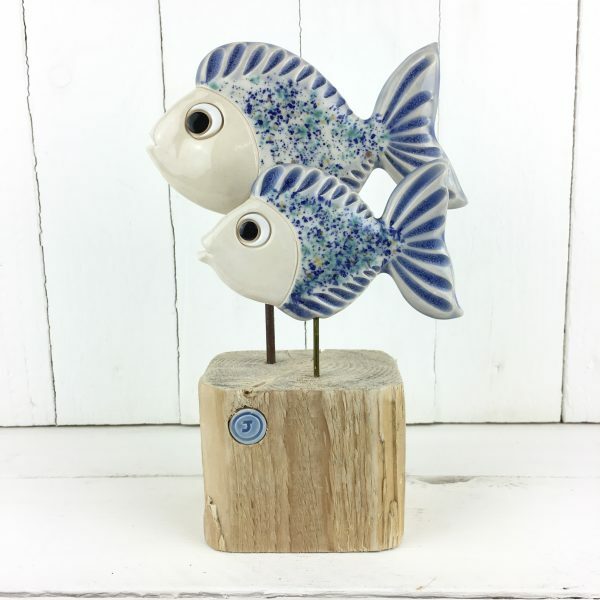 They are swimming on top of a light piece of driftwood and a light blue J button. These two would look great in any home. 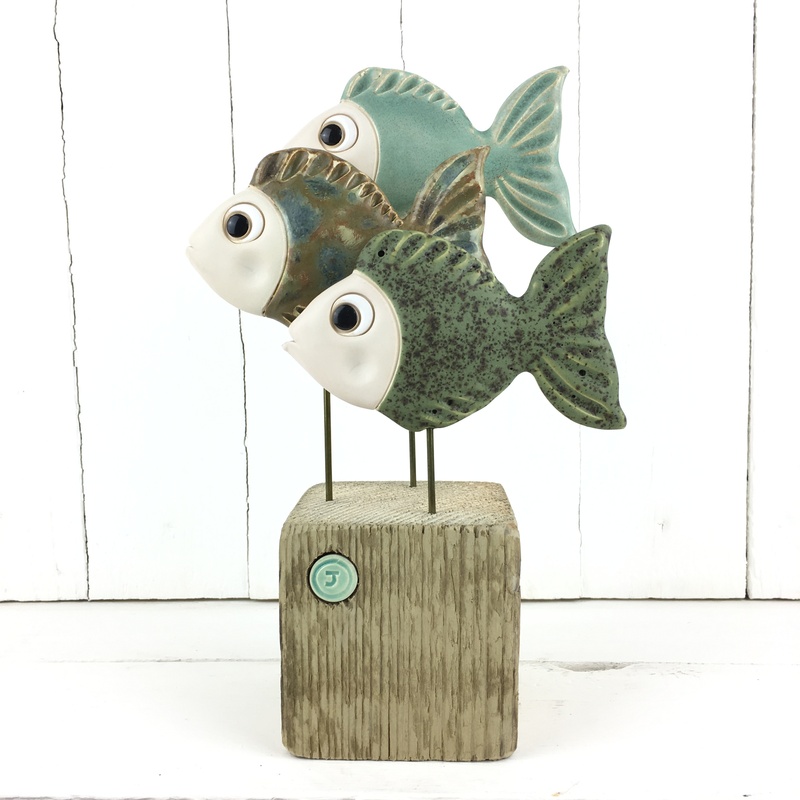 This trio of fish are finished in complimentary matte green and brown glazes and completed with a green J signature button upon a piece of driftwood from Jersey. 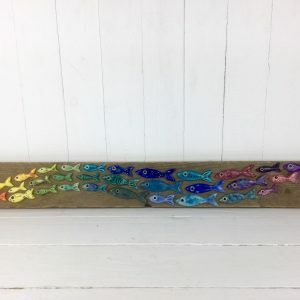 These large rainbow shoals of fish always cheer me up they are the perfect antidote to these winter months when there is so much darkness. 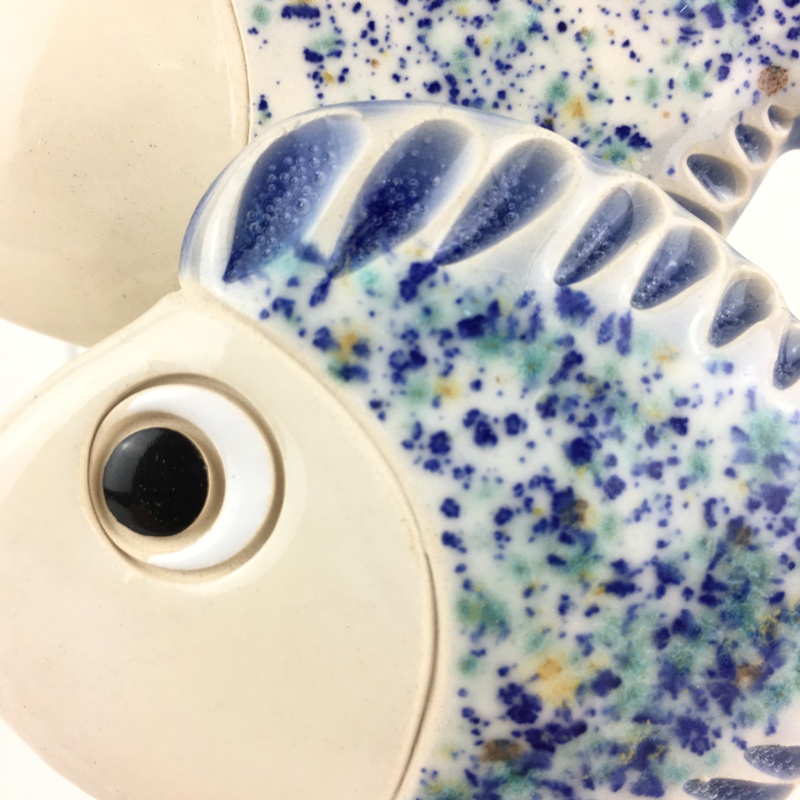 This family of six little purple ceramic fish is perfect for anyone who loves my purple glazes. 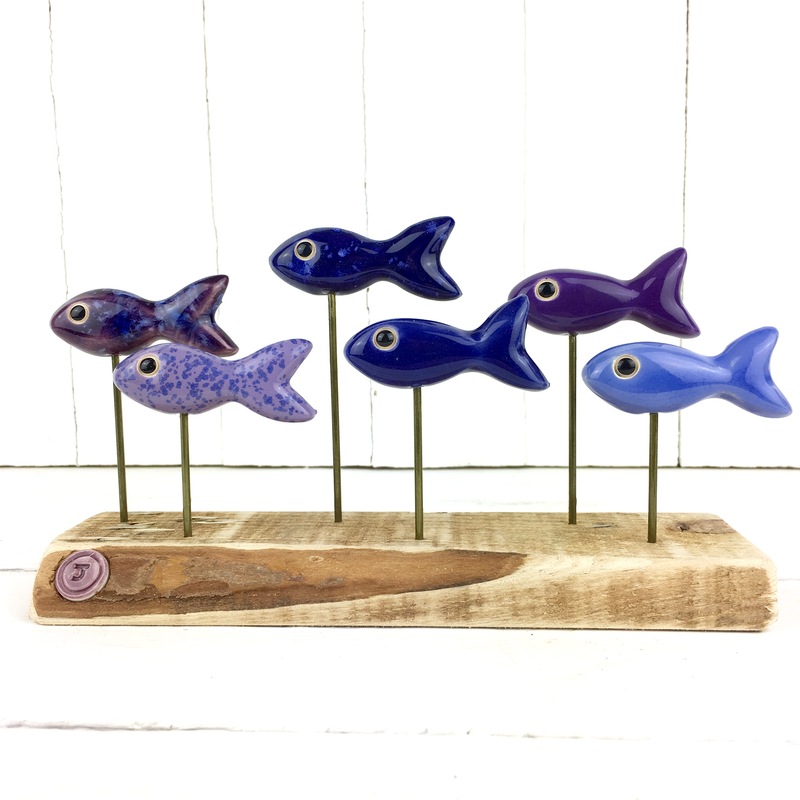 These fish are mounted on Jersey driftwood inset with a purple J button of authenticity.